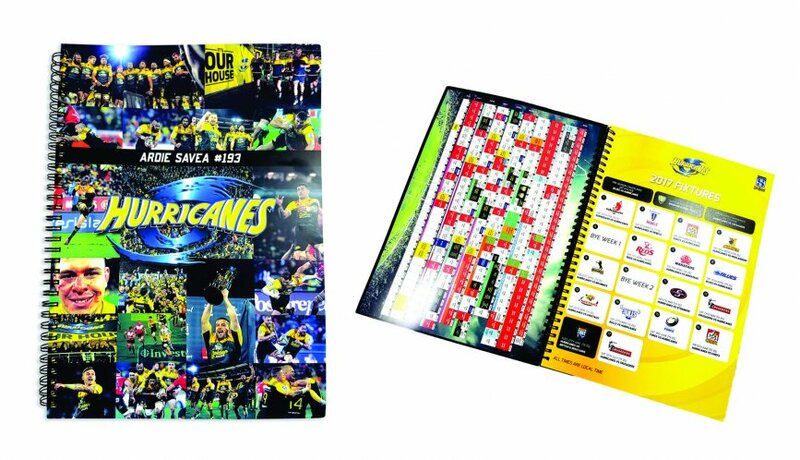 Creative Concepts was proud to supply the Hurricanes with their A4 Notebooks with custom full colour digitally printed covers, inside cover and custom inside page to be given and used by each player to record their training notes. Each cover was personalised with each players name and number. We wish the 2016 Super Rugby Champions all the best for their 2017 season! Go the Canes!